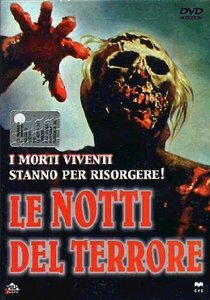 LE NOTTI DEL TERRORE or BURIAL GROUND or THE ZOMBIE DEAD or whatever else aka-title this steaming pile of zombie-turd is known by, easily is one of the best bad zombie-movies out there. And a must-see for all Italian zombie-fans. You know, the slow, dry & dusty kind.